Nosizwe Jane Nyusani was born in Umtata, South Africa on 25 June 1941. She entered the Congregation as a Postulant in December 1962 and made her profession on 4 July 1964. In 1965 she began teaching at the Convent of the Sacred Heart in New Brighton, Port Elizabeth and subsequently taught and did pastoral work in several of the Mission Schools and Parishes in the Eastern Cape. Winifred Delahunty was born in Salford, Lancashire, England on 5 July 1912. She entered the Congregation in December 1939 as a Postulant and made her Profession on 1 July 1941. In 1941 she began her many years of teaching at the Convent School in Belgravia. She taught subsequently at the Convent Schools of the Motherhouse and Potchefstroom. In 1962 she returned to England where she taught at St Martin’s in Stoke Golding and St Albert’s in Hinckley.It is here that she remained until her retirement and then her death. 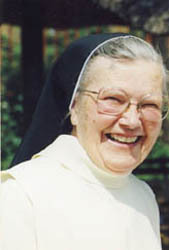 Maria Anna (Sr Laetitia) Kondring was born in Vreden, Germany on 13 March 1932. She entered the Congregation as a Postulant in October 1949. She made her Profession on 18 October 1952 at Albertushof Convent in Venlo and came to South Africa in October of the following year. After completing her studies she began teaching at the Motherhouse School in 1959, then at the St Vincent School for the Deaf in Melrose, Johannesburg, St Thomas Aquinas School in Witbank, the School in Belgravia and St Agnes’ School in Welkom, where she remained for many years. 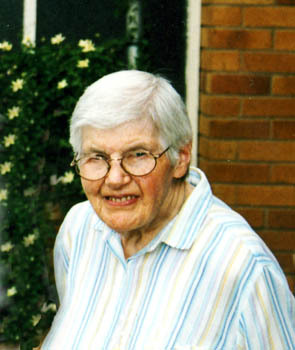 In 1996 Sr Mary Anne retired from teaching at St Mary’s Convent in Hyde Park. Josepha Lederle was born in Buchenberg, Germany on 20 December 1915. She entered the Congregation as a Postulant in January 1938 at St Immaculata Convent in Schlehdorf and made her Profession on 14 January 1941 at Albertushof Convent, Venlo. In 1947 she came to South Africa where she began nursing at the Mater Dei Nursing Home in East London. She moved to Glen Grey Mission Hospital in Lady Frere and then to Umlamli Mission Hospital, Sterkspruit in the Aliwal North Diocese. 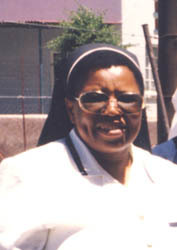 Sr Gulielma nursed also at St Martin de Porres Mission Marapyane and at St Catherine’s Nursing Home in Queenstown. 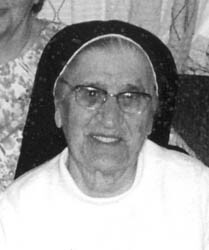 Here she retired in 1989 and later moved to Emmaus Convent until her death. Catharina Buis was born in Nibixwoud, Holland on 19 October 1919. She entered the Congregation as a Postulant in October 1941 at Albertushof Convent in Venlo and here also she made her Profession on 1 May 1943. In 1946 Sr Elizabeth came to South Africa where she continued nursing at the Mater Dei Nursing Home, Glen Grey Mission Hospital, Lady Frere and St Catherine’s Nursing Home, Queenstown. In 2001 Sr Elizabeth retired at St Pius Convent until it’s closure in 2007 when she moved to Emmaus Convent, both in East London. Johanna Carolina Gouws was born in Amersfoort, South Africa on 22 November 1914. She entered the Congregation as a Postulant in June 1941 at the Motherhouse and made her profession on 5 January 1943, when she also took up her work as Ward Sister at Glen Grey Mission Hospital in Lady Frere. She studied midwifery in Pietermaritzburg and did a Nursing Education Diploma at the University of Witwatersrand. Sr Mariette tutored many nurses at the Mater Dei in East London, Umlamli Mission Hospital, Sterkspruit in the Aliwal North Diocese and St Philomena’s Nursing Home in Ireland. She was also Matron at a number of Hospitals, Including St Mary’s Maternity Home in Springs. In 1973, as Matron at San Salvador Home in Hyde Park she began writing ‘All for God’s People’, a history of the Congregation in preparation for the Centenary Celebrations of 1977. The 1980s saw her as Chiropodist at St Vincent Convent and School for the Deaf. In 1994 she retired at Bl Imelda Convent in Brakpan and spent her final years at St Mary’s Convent in Hyde Park. Anna Draexl was born in Wackersberg bei Tölz, Germany on 30 August 1913. She entered the Congregation as a Postulant in July 1935 at St Immaculata Convent in Schlehdorf and made her profession on 5 January 1938. In the same year she began her Nurse’s Training at St Augustine’s Hospital in Durban. She nursed at the various Congregational Hospitals in the Eastern Cape until, in 1964 she was sent to St Scholastica’s Mission in Tshitali (Setali), where she spent the next 12 years, returning to St Catherine’s Nursing Home, Queenstown in 1976. In 1979 she began nursing at St Mary’s Convent Retirement Home and eventually retired in Bethany Convent until 1999 when she moved to St Mary’s Convent. Elisabeth Otto was born in Rotterdam, Holland on 17 December 1921. 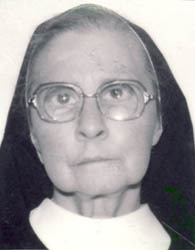 She entered the Congregation as a Postulant in June 1949 at Albertushof Convent and made her profession on 26 May 1951. In 1951 she began teaching needlework at St Agnes’ Convent in Welkom. She taught also at the Convent Schools in King William’s Town, Queenstown and Graaff-Reinet. On moving to the Transvaal she taught at the Convent of the Sacred Heart in Ermelo and Our Lady of Mercy in Springs. 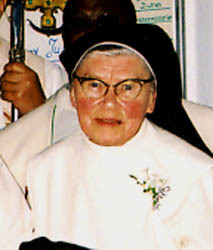 Sr Deodata retired at Emmaus Convent in 2003. Catherine Nolan was born in Enniscorthy, Ireland on 20 April 1918. 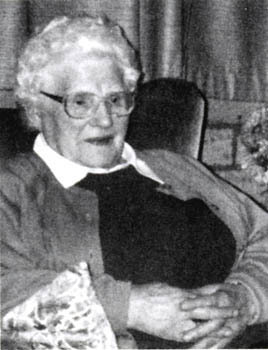 Catherine entered the Congregation as a Postulant in February 1944 at St Albert’s Convent in Hinckley and made her Profession on 25 August 1945. She returned to Ireland the following year to take up her duties at Rosary Cottage. For many years she worked at the Convents in Ireland and England before coming to South Africa to the Motherhouse in 1976. She spent some time also at San Salvador in Johannesburg, St Agnes in Welkom, the Mater Infirmorum and at Khaya Mauritia in King William’s Town. In 1998 she returned to Ireland to retire at Our Lady of Fatima Convent. Ellen Veronica Walsh was born in Port Elizabeth, South Africa on 15 September 1915. She entered the Congregation as a Postulant in July 1939 at the Motherhouse in King William’s Town and made her Profession on 5 January 1941. She studied to become a teacher while at East London, Queenstown and the Motherhouse, taking up her first teaching post in 1948 at the Convent School in Belgravia. She then taught at Our Lady of Mercy Convent in Springs. At both these Schools she was Sports Mistress. In 1969, at Lourdes Convent, she served two terms as General Councillor after which she returned for two years as teacher and librarian to the Convent in Springs. In 1983 Sr Campion returned again to Belgravia. 1988 found her back at Lourdes Convent in Parktown as Congregational Archivist. She retired from active work at Bethany Convent in 2003, moving to St Mary’s Convent in 2010 , where she died later that year. 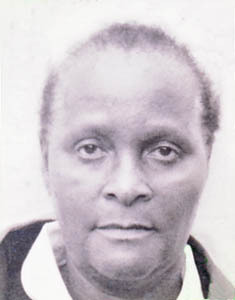 Agnes Julia Mehlwana was born in Zigudu, Transkei, South Africa on 5 July 1930. She entered the Congregation as a Postulant in January 1942 at Maria Hilf Convent and Noviciate and made her profession on 5 July 1944. She served the Congregation in a number of the Convents of the Eastern Cape, as also in Potchefstroom her work being mainly in the laundry and in the house.. In 1991 she retired first at Woodlands, then at the Mater Infirmorum and later at St Catherine’s in Queenstown and finally at Emmaus Convent in East London. Ottilie Sandmaier was born on 20 July 1917 in Zobingen, Germany. She entered the Congregation as a Postulant at St Immaculata Convent, Schlehdorf in July 1934 and made her profession on 5 January 1937, arriving in South Africa in the same year. In 1938 she began teaching at the Convent of the Sacred Heart in Ermelo, also taking care of the Boarders. Then, in 1946, she was sent to Bl Imelda’ Convent in Brakpan where she spent 3 years teaching Commercial subjects. In 1949 she took up her post as Principal at St Hyacinth’s Convent in Nigel and continued to teach. For a year she taught at Queenstown before taking up duties as Sub-Prioress at the Convent in Witbank and teaching High School classes. 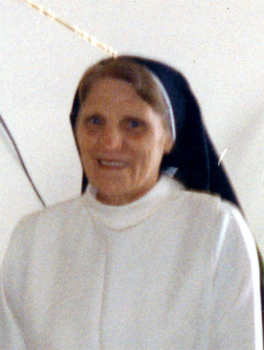 Sr Virginia returned to Ermelo in the 1960s and then in the late 1970s back to Witbank. She seved as Assistant Regional Bursar from 1988 until 1996 when she retired at Bethany Convent and later at St Mary’s until her death. Maria Catharina Kauffmann was born in Goes, Holland on 22 April 1921. She entered the Congregation as a Postulant in February 1949 at Albertushof Convent in Venlo and made her profession on 16 October 1950. In 1951 Sr Riet began her work in the houses of the Convents in East London, the Motherhouse, Izeli, St Vincent School for the Deaf in Melrose and Park Town taught and did pastoral work in several of the Mission Schools and Parishes in the Eastern Cape. In her early years in the Congregation, while at the Motherhouse she worked as shoemaker. In 1994 Sr Riet retired at Albertushof in Venlo. Sophie Schelle was born in Penzing, Landsberg, Germany on 25 December 1910. She entered the Congregation as a Postulant at St Immaculata, Schlehdorf in January 1930 and made her profession on 5 January 1933. In 1933 Sr Regula began teaching at the Mortherhouse and then she taught at Our Lady of Mercy Convent in Springs, Bl Imelda in Brakpan, St Thomas Training College in Village Main. In 1965 she went as Superior to the Convent in Fort Victoria and in 1968 returned to the Motherhouse as Prioress, always teaching. 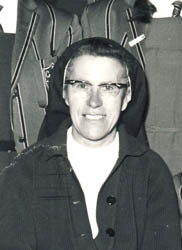 From 1971 – 1981 she served as Provincial of St Martin de Porres Province. In 1981 she became Superior at St Dominic’s Convent in Stutterheim. 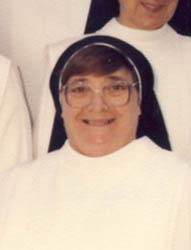 In 1985 Sr Regula moved to Bl Imelda Convent where she did general work until her retirement at Bethany Convent in 1990. Walburga Müller was born in Übersfeld, Germany on 13 April 1936. She entered the Congregation as a Postulant at St Immaculata Convent in September 1955 and made her profession on 31 July 1957. In 1959 she came to South Africa where she began her nursing career as Student Nurse at the Mater Dei Nursing Home and Glen Grey Mission Hospital in Lady Frere. She subsequently nursed at St Catherine’s Nursing Home, Convent of the Sacred Heart, Bulawayo, St Martin de Porres Mission at Marapyane. 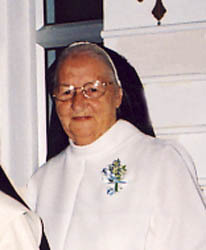 In 2007 Sr Beatrix moved to Emmaus Convent where she remained until her death. Monica Ovington was born in Lerwick, Shetland, Scotland on 22 August 1944. She entered the Congregation as a Postulant in September 1962 and made her profession on 10 August 1964. Sr Karen taught for a number of years at the Convent Schools in England before coming to South Africa in the mid-1980s She learnt Afrikaans and Venda and taught at St Anne’s Convent in East London, St Scholastica’s Mission at Tshitali, St Thomas Aquinas in Witbank and St Agnes Convent in Welkom. She died while on home leave in England. Lillian Buqwana was born in Danger’s Hoek, Herchell, South Africa a on 2 January 1939. She entered the Congregation as a Postulant in June 1956 at the Convent of Our Lady of Fatima in Lilyfontein and made her profession on 7 January 1959. She worked in the Don Bosco Community, St Peter’s Seminary, Hammanskraal, St Peter Claver Mission, Duncan Village, St Augustine’s Mission, Umhlanga and at the Umlamli Mission Hospital, Sterkspruit in Aliwal North Diocese as a nursing assistant. in the mid-1980s she was sent to Maria Hilf Convent and Noviciate. In 1995 Sr Clementia took up A.I.D.S. Ministry with children. Anna Regina Josefine Bibus was born in Munich,Germany on 1 September 1911. She entered the Congregation as a Postulant in January 1937 and made her profession on 2 July 1939. In the Convent School in Cradock in 1939 she began her long Commercial Teaching career, teaching at the Convent Schools in East London, Klerksdorp, Queenstown and Witbank, returning, once again, to Sacred Heart Convent in East London in 1961. 1979 found her, once again, in Klerksdorp still teaching Commercial subjects. At Lourdes Convent in 1983 she took up the duties of bursar until her retirement in Brakpan in 1990. 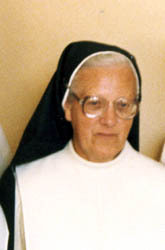 Sr Michael remained at Emmaus Convent in Brakpan until her death. Katharina Jell was born in Hemhof, Germany on 20 December 1916. She entered the Congregation as a Postulant at St Immaculata, Schlehdorf in June 1935 and made her profession on 5 January 1938. In the same year she began studies at the Motherhouse. In 1943 she began teaching in East London at St Pius Convent School and then at Maris Stella. She continued her studies at this time. In 1953 and 1954 she taught at Maria Hilf Convent Noviciate and at the school in Graaff-Reinet. 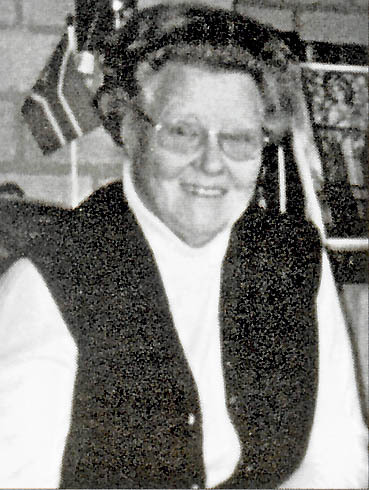 She was appointed Principal at Bl Imelda’s Convent School in Brakpan in 1955. In 1963 Sr Francesco was sent to the school in Potchefstroom as Principal, teaching the Matric classes. 1968 saw her in Belgravia where she was appointed Principal of the School in 1972. In 1976 her twenty-years teaching began at Our Lady of Mercy Convent School before her retirement at Bethany Convent in 1997. Berendina Johanna Hutten was born in Zwolle, Nederland on 16 December 1921. She entered the Congregation as a Postulant in November 1948 at Albertushof Convent in Venlo and made her profession on 17 May 1950. In 1951, at Cradock, she began her many years of service to the Communities as Cook and Gardener at the various Convents in South Africa, including St Agnes in Welkom, St Vincent’s in Melrose, Belgravia, St Hyacinth’s in Nigel and again in Welkom. When her father died in 1975 she was not allowed to return to Holland for his funeral but in 1976 whe was able to go there on Sabbatical. 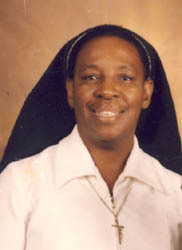 In 2004 she retired in Bethany Convent. While she was still able and despite the discomfort of pain she spent many hours at night in prayer in the Chapel. Maria Magdalena Schäffeler was born in Herlazhofen, Germany on 23 July 1909. She entered the Congregation as a Postulant in August 1930 at St Immaculata Convent in Schlehdorf where she remained until the trying years of World War II. From 1939 to 1968 she lived and worked at Albertushof Convent, servincg the Community in various capacities. She was Sub-Prioress and cook and gardener, Sacristan and general help and finding time for embroidery and sewing. She continued these activities on her return to Germany in 1970 until her retirement from active work at St Immaculata in Schlehdorf in 1996. Klara Schwager was born in Fremdingen, Germany on 31 July 1920. She entered the Congregation as a Postulant at St Immaculata in Schlehdorf in January 1937 and made her profession on 2 July 1939. In the same year she came to the Motherhouse in South Africa and thus began the many years of making Vestments and teaching Art and Needlework. In 1951 she was appointed Sub-Prioress at the Motherhouse, but continued her Vestment-making and teaching. In the early 1960s she taught briefly at St Agnes Convent in Welkom before being sent to Lourdes Convent in 1964 where she continued making Vestments for many Parishes. Only God knows how many vestments, cassocks, albs, stoles and mitres she designed and embroidered. Each piece was sewn with love and prayer for the recipient. And each article was to be a work of art. In 2003, when Lourdes Convent was closed she continued her work at St Mary’s Convent despite her failing health and much suffering. Rosa Heigel was born on 29 March 1921 in Bergheim, Dillingen. She entered the Congregation as a Postulant at St Immaculata Convent, Schlehdorf in January 1939 and made her profession on 12 January 1943. For many years she taught at the Convent School in Schlehdorf, for a number of years also as Principal of the Mittelschule. 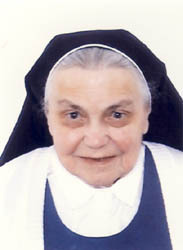 In the late 1990s Sr Palmeria undertook the writing of the Chronicles of Schlehdorf. Her entire Religious Life was spent in Germany until her death at the age of 86. Maria Streibl was born in Surheim, Germany on 28 July 1913. She entered the Congregation as a Postulant in February 1931 and made her profession on 28 June 1933. In 1934 she began as Assistant Art Teacher at Maris Stella Convent in East London beginning studies at the Motherhouse the following year. She taught at St Hyacinth’s Convent School in Nigel, Our Lady of Mercy in Springs and the Schools in Graaff-Reinet and Cradock before returning to Our Lady of Mercy in 1945 and remaining there for 44 years before her retirement in 1989 in Brakpan. Elisabeth-Veronica Geiselhart was born in Ulm, Germany on 27 January 1930. She entered the Congregation in August 1948 at St Immaculata Convent in Schlehdorf and made her profession on 3 February 1951. She spent most of her teaching life in the Convent Schools in Germany teaching the Kindergarten classes. Franziska Gerster was born in Aepfingen, Germany on 28 July 1916. 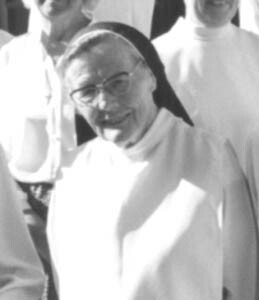 She entered the Congregation as a Postulant in January 1938 at St Immaculata Convent in Schlehdorf but moved to Albertushof in Venlo in 1939 where she made her profession on 14 January 1941. 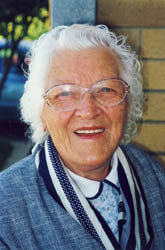 In 1947 she began nursing at the Mater Dei Nursing Home in East London, South Africa. 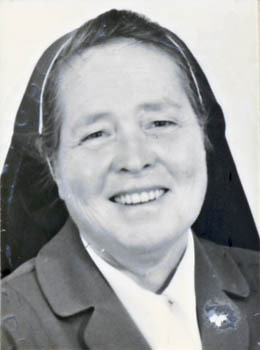 She nursed in St Catherine’s Nursing Home in Queenstown and Glen Grey Mission Hospital in Lady Frere before returning to Europe in 1969 where she nursed in Venlo and practised midwifery at St Philomena’s Nursing Home in Bandon, Ireland. In 1963 Sr Auxiliata returned to South Africa where she continued nursing and midwifery at the Mater Dei Nursing Home, Marydale Nursing Home in King William’s Town, St Mary’s Maternity Home, Springs and Glen Grey Mission Hosptial, Lady Frere. From 1974 to 1979 she was Superior at Our Lady of Fatima Convent in Tralee. After a year, nursing in Riehen, she returned in 1981 to South Africa to nurse at the Mater Infirmorum Convent Sanatorium. In 1992 she moved to Emmaus where she remained until her death. Rosa Zimmermann was born in Munich, Germany on 9 April 1911. She entered the Congregation as a Postulant in September 1929 at St Immaculata Convent in Schlehdorf and made her profession on 28 June 1932. In 1932 she came to the Motherhouse in South Africa and began her studies. In 1937, at Sacred Heart Convent in East London she began teaching. She then taught at St Joseph’s Convent School in Potgietersrus, studying for her BA. 1940 found her teaching at Klerksdorp Convent. 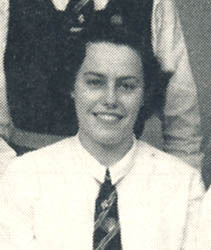 In 1947 she returned to Potgiertersrus as Principal. In 1952 Sr Coronata returned to the Eastern Cape to teach in the schools in Cradock and Graaff-Reinet. In 1970 she took up teaching at St Agnes’ Convent School in Welkom, where she remained until 1981 when she was sent to Bl Imelda’s Convent in Brakpan. In 1986 Sr Coronata finally retired from teaching at St Catherine’s Nursing Home. In 2001 she was moved to Emmaus Convent where she spent the rest of her years. Theresia Meir was born in Lauterbrunn, Germany on 5 April 1934. She entered the Congregation as a Postulant in November 1956 and made her profession on 5 January 1959. She worked in the Convent houses in Germany until her death at St Immaculata. Sonja Klara Gloor was born in Hochdorf, Switzerland on 9 July 1931. She entered the Congregation as a Postulant in January 1959 at Dominikushaus Convent in Riehen and made her profession on 9 August 1960 at St Albert’s Convent in Hinckley. She came to South Africa in 1963 and thence to Rhodesia where she nursed and did midwifery at Berejena Clinic and Matibi Mission Hospital. She returned to South Africa in 1973 to nurse at the Mater Dei Nursing Home and then to Lourdes Convent as General Councillor. 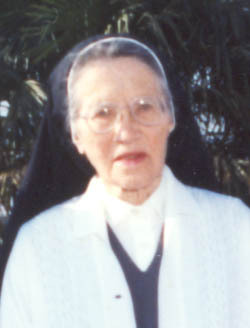 From 1987 Sr Maya spent several years nursing in Ecuador and Bolivia. In 2003 she returned to Dominikushaus in Riehen where she remained until her death. Bridget Nyhan was born in Youghal, Co. Cork, Ireland on 5 April 1934. She entered the Congregation as a Postulant at St Albert’s Convent, Hinckley in August 1948 and made her profession on 12 September 1950. She came to South Africa in 1950 to take up Nursery and Kindergarten teaching at Our Lady of Mercy Convent in Springs. In 1973 she took up teaching at the Indian School in Springs, retiring in 1991 at Lourdes Convent in Parktown. In 1997 Sr Bridie returned to England to St Martin’s Convent in Stoke Golding and finally retired at Our Lady of Fatima Convent in Ireland. Cornelia Buis was born in Zwaag, Holland on 19 February 1918. She entered the Congregation as a Postulant at Albertushof Convent in March 1944 and made her profession on 8 October 1945. 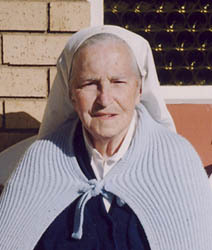 Sr Catherine came to South Africa in 1952, where she began nursing at St Catherine’s Nursing Home in Queenstown, followed by the Mater Dei Nursing Home in East London, Glen Grey Mission Hospital, Lady Frere, St Michael’s Nursing Home in Peddie, Umlamli Mission Hospital, Sterkspruit in the Aliwal North Diocese and the Mater Infirmorum. Sr Catherine retired at Albertushof Convent in Venlo in 1976 where she continued helping out as long as she was able. Imelda Farry was born in Boksburg, South Africa on 3 July 1924. She entered the Congregation as a Postulant at the Motherhouse in September 1941 and made her profession on 14 July 1943. She began her work as a Commercial Teacher at St Dominic’s Convent in Stutterheim, then taught at the Motherhouse, Bl Imelda Convent in Brakpan, Potchefstroom and then the Motherhouse again for many years. Here she was Bursar in the latter years. In 1964 she was appointed Bursar at the Convent in Queenstown where she also taught. She continued as Bursar when appointed to teach at St Thomas Aquinas in Witbank. 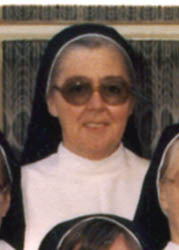 In 1979 Sr Imelda was appointed to teach at Our Lady of Mercy Convent in Springs, continuing also as Bursar. In 1991, at Lourdes Convent in Parktown, she took up hospital ministry until she retired at St Mary’s Convent in 2002. Maria Zimmermann was born in Pleystein, Germany on 18 August 1914. She entered the Convent as a Posutlant at St Immaculata, Schlehdorf in January 1931 and made her Profession on 28 June 1933. She came to the Motherhouse in South Africa in the same year to begin studying and teaching. In 1939 she took up her position as Principal at the Convent School in Klerksdorp, then in 1942 at St Thomas Convent and Training College in Village Main, followed by a time at Our Lady of Mercy Convent as Superior. 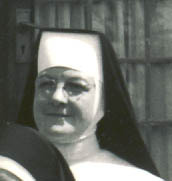 In 1959 Mother Fromunda was elected Prioress General of the Congregation. At the end of her second term in office she spent a few months in Cradock. 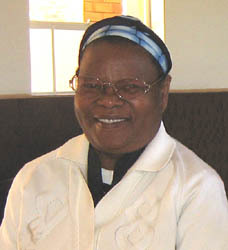 Between 1975 and 1987, at the request of Bishop Schmid of Mariannhill Diocese, Sr Fromunda assisted the Montebello African Congregation as acting-Prioress General. In 1988 she was appointed Superior at St Martin de Porres Mission at Marapyane. In 1996 she retired from active ministry at St Catherine’s Nursing Home in Queenstown then moved to Emmaus Convent in East London in 2001. Cecilia Musch was born in Unterbinnwant, Germany on 22 January 1913. She entered the Congregation as a Postulant at St Immaculata Convent, Schlehdorf in October 1936 and made her Profession on 28 June 1938. 1939 found her at the Motherhouse in South Africa where she served the Congregation with her special skill of sewing. She worked at the Convents in Cradock and at the Mater Infirmorum Convent, as also at the Convents in East London. She retired at St Pius Convent in 1994 then moved to Emmaus Convent where she died some years later. Maria Hagl was born inFreising-Neustift, Germany on 6 August 1916. She entered the Congregation as a Postulant at St Immaculata Convent, Schlehdorf in September 1947 and made her Profession on 31 July 1943. She lived and worked as a District Nurse in a number of the Convents in Germany and also in Riehen, Switzerland. Annemarie Kowalczyk was born in Wolken Guestrow Mecklenburg, Germany on 27 February 1916. She entered the Congregation as a Postulant in October 1948 and made her Profession on 3 February 1951. Sr Osanna taught Pre-School and Grade I classes in a number of the Convent Schools, including Sacred Heart Convent, East London, Convent of the Sacred Heart, Klerksdorp, St Hyacinth’s Convent, Nigel, Bl Imelda Convent, Brakpan, Convent of the Sacred Heart, Belgravia and Our Lady of Mercy Convent, Springs, where she finally retired in 1993. In 1997 she was sent to St Mary’s Convent where she continued with many interests until her death. Maria Rosa Pathan was born in Berlin, Germany on 30 June 1911. She entered the Congregation as a Postulant at St Immaculata Convent in April 1935 and made her Profession on 28 June 1937. She came to the Motherhouse in 1937 where she continued studying while also teaching. During these early years she taught also at the schools in Cradock. In 1946 she was sent to the Transvaal where she taught Commercial Subjects at Our Lady of Mercy Convent in Springs, fulfilling also the role of Bursar. In 1953 Sr Harriet was assigned to St Agnes Convent in Welkom. Here she continued also as Bursar. In 1956 Sr Harriet returned to the Eastern Cape, to teach in Schools in East London and Queenstown before returning to the Transvaal to teach at St Hyacinth’s Convent in Nigel and then St Agnes Convent in Welkom. 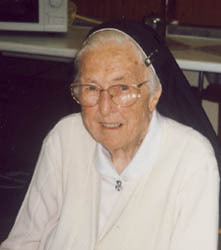 Sr Harriet retired in 1988 at Bethany Convent. Cäcilia Grill was born in Inzell, Germany on 16 December 1920. She entered the Congregation as a Postulant at St Immaculata Convent in Schlehdorf in August 1938 and made her Profession on 11 January 1942. 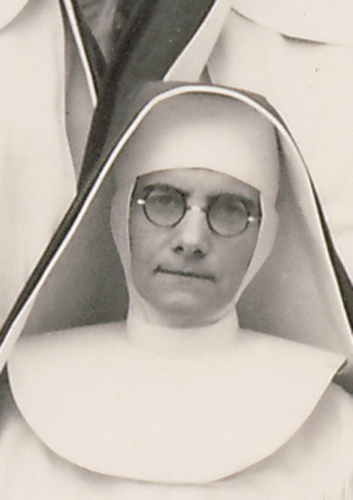 She remained in the Convents in Germany serving as a nurse in various Communities. Memmeng Martina Tsuari was born in Grootvlei, Nigel on 19 July 1931. She entered the Congregation as a Postulant in December 1953 at Maria Hilf Convent and Noviciate and made her Profession on 2 July 1955. Sr Angelina received her Teaching Diploma at St Thomas Training College in Village Main and taught in various Mission Convents including Christo Nkose in Kwa Thema, St Scholastica’s Mission at Tshitali, St Francis Xavier Convent Noviciate in East London, St Peter Claver Mission in Duncan Village and Our Lady of Joy Mission in Seabe near Marapyane. Sr Angelina retired from her many years of teaching in 2000 at Bethany Convent in Brakpan. Johanna Gertruida van Haasteren was born in Scheidam, Holland on 30 November 1913. She entered the Congregation as a Postulant at Albertushof Convent in Venlo in July 1948 and made her Profession on 22 January 1950. In the same year Sr Lidwina came to South Africa to take up teaching Commercial Subjects at Sacred Heart Convent in East London. She then taught for two years in Queenstown before moving to St Thomas Aquinas Convent in Witbank. 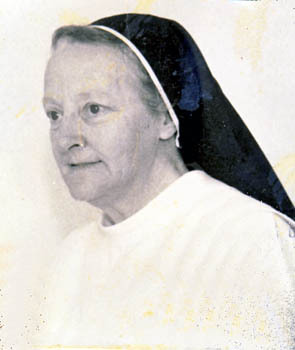 In 1964 Sr Lidwina returned to Albertushof Convent as Sub-Prioress and Bursar. Here she remained until her death. Anna-Theresia Walch was born in Amberg, Oberpfalz, Germany on 21 February 1917. 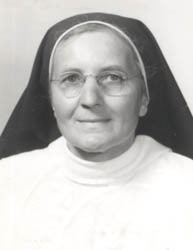 She entered the Congregation as a Postulant at St Immaculata Convent in June 1938 and made her Profession on 14 January 1941 at Albertushof Convent, where she began to teach. 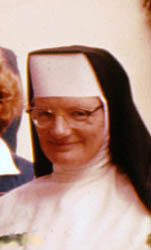 In 1952 she was appointed Superior at the Convent and continued teaching there. In 1960 she was sent to St Albert’s Convent in Hinckley as Superior and in 1963 she returned to the Convent of St Jordan in Holdorf, Germany. 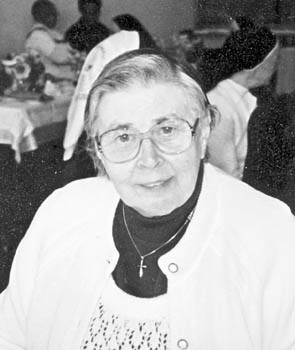 In 1969 Sr Gabriele returned to St Immaculata Convent as teacher of Domestic Science. Thora Hlatshwako was born in Brakpan, South Africa on 16 August 1925. She entered the Congregation as a Postulant in December 1946 and made her Profession on 17 January 1949. Sr Stella was trained at St Thomas Training College in Village Main where she received her Teaching Diploma. She taught and worked in Pastoral Ministry at a number of the Mission Convents, including Maria Hilf Convent and Noviciate, St Peter Claver Mission, Duncan Village, St Joseph’s Convent, Bronville. She retired at St Mary’s Convent in Hyde Park. Maria Först was born in Dusseldorf, Germany on 21 May 1913. 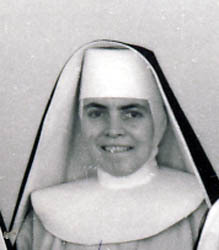 She was one of nine Dominican Sisters from Schwichteler, North Germany who were granted permission to join the Congregation at St Immaculata Convent in Schlehdorf in 1949. in 1950 she came to South Africa where she began nurses’ training at Glen Grey Mission Hospital in Lady Frere. This was followed by duties as Ward Sister and general nursing at Umlamli Mission Hospital, Sterkspruit in the Aliwal North Diocese and Administrative duties at the Mater Dei Nursing Home in East London. In 1979 she returned to Schlehdorf in Germany, where she continued to work until her retirement from active duties at St Immaculata Convent. Maria Theresia Kunkel was born in Heigenbrücken, Germany on 27 September 1921. She entered the Congregation as a Postulant at St Immaculata Convent in Schlehdorf in October 1948 and made her Profession on 2 July 1950. In 1951 she came to South Africa and took up nursing at Mater Dei Nursing Home in East London. In 1958 she continued as a Student Nurse at Glen Grey Mission Hospital in Lady Frere and in 1967 General and Maternity Nursing at St Catherine’s Nursing Home in Queenstown. 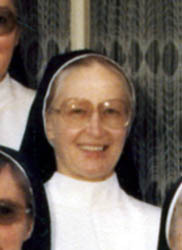 From 1973 to 1979 Sr Constance nursed at St Martin de Porres Mission in Marapyane. Then followed some years at Groblersdal, Belgravia and Seabe. Miranda Nombini Dorana was born in Port Elizabeth, South Africa on 18 September 1949. She entered the Congregation as a Postulant in February 1968 and made her Profession on 10 January 1970. 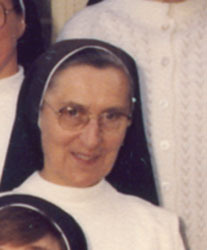 Sr Agneta lived and did Catechetical work and taught at the various Mission Convents in the Eastern Cape, including Maria Hilf Convent and Noviciate and St Pius Convent. Leokadia Schmieg was born in Oberkessach, Schöntal 3, Germany on 29 September 1920. She entered the Congregation as a Postulant at St Immaculata Convent in Schlehdorf in February 1947 and made her Profession on 1 February 1949. She came to South Africa in 1950 where she took up nursing at the Mater Dei Nursing Home in East London. Fides Berta Krüsi was born in Niederuzwil, Switzerland on 9 April 1936. She entered the Congregation as a Postulant at Dominikushaus Convent in Riehen, Switzerland in July 1954 and made her Profession at St Albert’s Convent in Hinckley on 17 January 1956. Sr Bertranda came to South Africa in the same year to take up her work at the Convent of the Sacred Heart in Graaff-Reinet. She served the Congregation also in East London, King William’s Town, Witbank and Queenstown. Afra Recher was born in Anwalting, Germany on 19 January 1909. She entered the Congregation as a Postulant at St Immaculata Convent, Schlehdorf in July 1929 and made her Profession on 5 January 1931. She came to South Africa where she began her many years of service to the Congregation at the Motherhouse as a carpenter and cabinet maker. Catherine Sweeney was born in Hull, England on 14 March 1934. She entered the Congregation as a Postulant at St Albert’s Convent in Hinckley in September 1952 and made her Profession on 7 August 1954. Sr Aidan remained her whole religious life at St Martin’s Convent and Catholic School, teaching there and at Our Lady of the Sacred Heart Convent in Nuneaton. Petronella Maria Hendrina Verhalle was born in Merselo Gem. Venray on 25 September 1910. She entered the Congregation as a Postulant at Albertushof Convent, Venlo in September 1941 and made her Profession on 1 May 1943. She remained and served most of her religious life in Venlo. Anna Heinrich was born in Dürrlauingen, Augsburg on 3 October 1915. She entered the Congregation as a Postulant at St Immaculata Convent, Schlehdorf in July 1936 and made her Profession on 28 June 1938. She came to South Africa in 1938 and began her many years of teaching at the Convent of Our Lady of the Rosary in Izeli in 1939. Hildegard Lorraine (Thandi Lisbeth) Khumalo was born in Sophiatown, Johannesburg on 27 December 1924. She entered the Congregation as a Postulant at Maria Hilf Convent and Noviciate in January 1943 and made her Profession on 6 January 1945. Sr Gratia was one of the African Sisters who attended St Thomas Training College in Village Main. She worked in various capacities at a number of the Congregational Missions in the country, including Duncan Village, Tshitali and Sterkspruit. Adeline Marie Donze was born in Birmingham, England on 10 December 1911. She entered the Congregation as a Postulant at the Motherhouse in June 1951 and made her Profession on 6 January 1953. Hildegard Ursula Christ was born in Lauenburg, Pommern, Germany on 1 May 1929. She entered the Congregation as a Postulant at St Immaculata Convent, Schlehdorf in August 1956 and made her Profession on 4 August 1958. Maria Bäumle was born in Basel, Switzerland on 1 May 1908. She entered the Congregation as a Postulant at St Immaculata Convent in Schlehdorf in July 1934 and made her Profession on 5 January 1936. She came to the Motherhouse in the same year and began studies for a Teachers’ Certificate, teaching art at the same time. In 1975 Sr Salvina returned to Switzerland to Dominikushaus Convent where she continued her art and did porcelain painting. Katherine Florence Hartwanger was born in Kuku Valley, Komga District, South Africa on 21 March 1904. 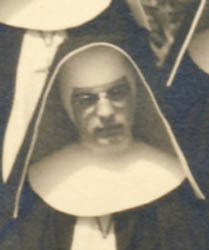 She entered the Congregation as a Postulant at the Motherhouse in January 1923 and made her Profession on 13 July 1924, taking up teaching soon afterwards. Helene Maria Sildatke was born in Lauenburg, Prussia, Germany on 22 February 1915. She entered the Congregation as a Postulant in January 1937 and made her Profession on 28 June 1939. Sr Helene was a dressmaker and taught needlework at the various Convent Schools in South Africa. Elizabeth Wilhelmina van Wetering was born in Leeuwarden, Holland on 25 November 1919. She entered the Congregation as a Postulant at Albertushof Convent in Venlo in July 1948 and made her Profession on 22 January 1950. She came to South Africa in 1950 and began teaching at the Convent of Our Lady of Mercy in Springs. In 1966 she returned to Albertushof Convent in Venlo as Superior but came back to South Africa in 1969 to remain. Roswitha Helene Simma was born in Stuttgart, Germany on 17 February 1936. She entered the Congregation as a Postulant at St Immaculata Convent, Schlehdorf in September 1961 and made her Profession on 31 July 1963. She remained in Germany to teach at the various Convent schools. Maria Ehrenboeck was born in Hinding Deggendorf on 4 August 1931. She entered the Congregation as a Postulant at St Immaculata Convent, Schlehdorf in April 1957 and made her Profession on 5 January 1959. Luise Agatha Schneider was born in Niederkirchen, Germany on 26 January 1918. She entered the Congregation as a Postulant at St Immaculata Convent, Schlehdorf in July 1936 and made her Profession on 28 June 1938. Walburga Streibl was born in Surheim, Bavaria on 27 December 1911. She entered the Congregation as a Postulant at St Immaculata, Schlehdorf in December 1936 and made her Profession on 28 January 1938. She came to South Africa in the same year and began her many years of service in the kitchen of the Convent in Belgravia, Johannesburg. Carolina Schwamberger was born in Pfaffenreuth, Germany on 21 August 1913. She entered the Congregation as a Postulant at St Immaculata Convent in Schlehdorf in January 1931 and made her Profession on 5 January 1934. She came to South Africa in the same year and began teaching at the Convent in Queenstown in 1935. Winifred Mayekiso was born in Machubeni, Transkei, South Africa on 8 July 1915. She entered the Congregation as a Postulant in March 1941 at Maria Hilf Convent and Noviciate and made her Profession on 5 January 1943. Alfonsina Mamotsoane Mosala was born in Calasana, Lesotho on 9 February 1925. She entered the Congregation as a Postulant in July 1951 at the Convent of Our Lady of Fatima in Lilyfontein and made her Profession on 15 January 1953. Katharina Recht was born in Schwadorf, Koln, Germany on 19 September 1914. 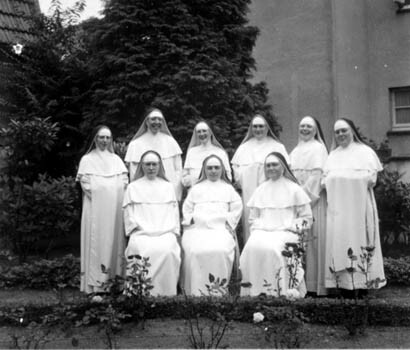 She was one of a group of Sisters in Schwichteler who joined the King William’s Town Dominican Congregation at St Immaculata Convent, Schlehdorf in 1949 having received permission to leave the Schwichteler Dominican Sisters. Rosa Maria Mayr was born in Tutzing, Germany on 21 February 1917. She entered the Congregation as a Postulant at St Immaculata Convent, Schlehdorf in August 1936 and made her Profession on 28 June 1938. In the same year she came to South Africa where she began her studies at the Motherhouse in King William’s Town. Johanna Alida Bernaert was born in Zaandam, Holland on 20 November 1926. She entered the Congregation as a Postulant in February 1948 at Albertushof Convent in Venlo and made her Profession on 15 October 1949. 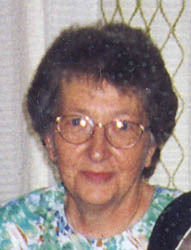 She began nursing in South Africa at the Mater Dei Nursing Home in East London in 1950. Stella Maria Peart was born in East Dean, England on 26 April 1925. She entered the Congregation as a Postulant in March 1943 at St Albert’s Convent in Hinckley and made her Profession on 8 January 1946. In 1954 she came to South Africa where she continued to teach music at the Convent in Belgravia, Johannesburg. Marguerite Louise Manson-Kullin was born in Rondebosch, Cape Town, South Africa on 2 December 1926. 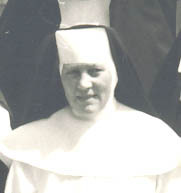 She entered the Congregation as a Postulant at the Motherhouse in June 1945 and made her Profession on 5 January 1947. She began teaching Kindergarten while at the Motherhous and subsequently taught at the Convents in Graaff-Reinet, Izeli, Potchefstroom and Welkom. Anna Lang was born in Orthofen Dachau on 20 February 1909. She entered the Congregation as a Candidate at St Immaculata Convent, Schlehdorf in July 1928 and made her Profession on 5 January 1931. In the same year she came to the Motherhouse in King William’s Town where she began her studies to eventually become a teacher. From 1942 to 1975 she taught at the St Vincent School for the Deaf in Melrose, Johannesburg. Kreszentia Nägele was born in Stockheim Bad Worishofen on 24 December 1909. She entered the Congregation in February 1933 and Noviciate and made her Profession on 5 January 1935. She came to South Africa and began work at the Convent in Potchefstroom. Katharina Steinegger was born in Unterwoehrn Schechen Oberbayern on 27 January 1918. She entered the Congregation as a Postulant in February 1933 and the Noviciate in January 1935, maing her Profession on 28 June 1937. She came to South Africa in the same year and took up her responsibilities in the house at the Convent in Belgravia, then at the Convent of Our Lady of the Rosary in Izeli. Creszentia Brandl was born in Munich on 31 May 1909. She entered the Congregation as a Postulant in February 1933 and made her Profession on 28 June 1935. In the same year she came to the Motherhouse and began her studies to become a teacher. Josephine Witteveen was born in Lemmer Holland on 1 August 1927. She entered the Congregation as a Postulant at Albertushof Convent in Venlo in October 1949 and made her Profession on 26 May 1951. She came to the Convent in Queenstown where she began teaching Commercial Subjects. Maria Aloisia Matt was born in Lauren Liechtenstein on 6 February 1910. She entered the Congregation as a Postulant at St Immaculata Convent, Schlehdorf in October 1931and made her Profession on 5 January 1934, coming to the Motherhouse in King William’s Town in the same year. Anna Nachbichler was born in Petting Traunstein Ringham on 22 April 1917. She entered the Congregation as a Postulant in August 1946 and made her Profession on 30 July 1948. She served in the Convents in Germany till her death. 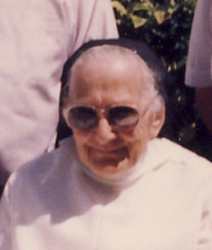 Sr Jucunda was born in Lengdorf Erding on 3 March 1912. She entered the Congregation at St Immaculata, Schlehdorf as a Postulant in March 1937 and made her Profession on 2 July 1939 having come to the Motherhouse in King William’s Town in the previous year. 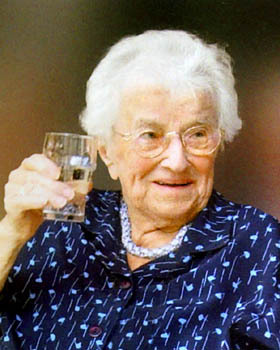 Josefa Pahls was born in Nordhalte bei Essen Oldenburg on 23 January 1913. She entered the Congregation as a Postulant at St Immaculata Convent, Schlehdorf in June 1951and made her Profession on 11 January 1953. She remained in Germany until her death. Anna Justina Fink was born in Mittelurbach Bad Waldsee Wuerttemberg on 27 March 1912. She entered the Congregation as a Postulant at St Immaculata Convent, Schlehdorf in February 1931 and made her Profession on 5 January 1934, coming to the Motherhouse in King William’s Town in the same year to take up studies and teaaching. Anne Sandmaier was born in Krauthof Zobingen Wuerttemberg on 2 September 1913. She entered the Congregation as a Postulant in June 1934 and made her Profession on 28 June 1936. 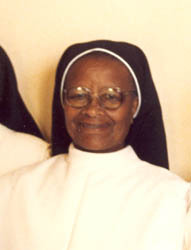 She came to South Africa in the same year and remained working at various Convents until her death. Tozana Caroline Shude was born in Lupapasi Transkei on 9 December 1919. She entered the Congregation as a Postulant in January 1965 and made her Profession on 9 January 1967. Walburga Bayer was born in Munich on 7 September 1920. She entered the Congregation as a Postulant at St Immaculata Convent, Schlehdorf in May 1938 and made her Profession on 11 January 1942. 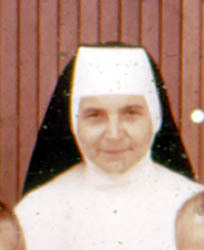 1950 saw her teaching Kindergarten at the Convent of Our Lady of Mercy in Springs. She remained in South Africa teaching at various Convents. Gertrude Nobathana was born in Toise River, Waku, Distr. Stutterheim on 22 September 1921. She entered the Congregation as a Postulant in February 1945 and made her Profession on 17 January 1948. Krescenz Weng was born in Weng Kerkingen Bophingen Wuerttemberg on 29 June 1903. She entered the Congregation as a Candidate at St Immaculata Convent, Schlehdorf in 1924 and made her Profession on 28 April 1927. She came to South Africa and in 1928 began her service at the Convent in Klerksdorp. Rosina Schoeffmann was born in Schlegldorf Lenggries Bavaria on 10 March 1915. She entered the Congregation as a Postulant at St Immaculata Convent, Schlehdorf in October 1937 and made her Profession on 5 January 1940. After several years in Schlehdorf she came to South Africa to nurse at the Mater Dei Nursing Home, East London, St Mary’s Maternity Home in Springs and later at the Mater Infirmorum Convent Sanatorium near King William’s Town, where she eventually retired from active nursing. Therese Altmann was born in Affing bei Augsburg on 18 October 1915. She entered the Congregation as a Postulant at St Immaculata, Schlehdorf in January 1936 and made her Profession on 5 January 1938. In 1958 she came to South Africa to nurse at St Catherine’s Nursing Home in Queenstown. Anna Friess was born in Hausen bei Mindelheim Schwaben on 30 January 1913. She entered the Congregation as a Postulant in February 1932 and made her Profession on 28 June 1934. She came to South Africa and In 1935 she began nursing at the Mater Infirmorum Convent Sanatorium. Maria Lobinger was born in Eckendorf, Kreis Nabburg, Oberpfalz on 20 February 1935. She entered the Congregation as a Postulant at St Immaculata Convent, Schlehdorf in April 1958 and made her Profession on 5 January 1960. She came to South Africa to begin working at the Convent in Queenstown in 1961. Victoria Bauer was born in Illerbeuren on 14 June 1921. She joined the Congregation as a Candidate at St Immaculata Convent, Schlehdorf in April 1948 and made her Profession on 2 July 1950. She remained in Germany all her religious life. Heidi von Felten was born in Basel Switzerland on 20 December 1934. She entered the Congregation as a Postulant at Dominikushaus Convent in Riehen in June 1956 and did her Noviciate at St Albert’s Convent in Hinckley, making her Profession on 20 January 1958 before coming to Southern Africa to the Convent in Berejena, Rhodesia in 1961. In South Africa she was Novice Mistress and Provincial of the St Martin de Porres Province. 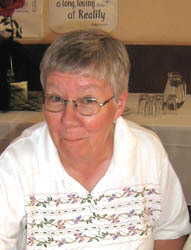 From 1988 to 1992 she was on the General Council. Later she served as Hospital Chaplain. Anna Hornung was born in Gilching, Bavaria on 7 May 1907. She joined the Congregation as a Postulant at St Immaculata Convent, Schlehdorf in August 1930 and made her Profession on 5 January 1933. She began her service to the Congregation in South Africa at St Pius Convent in East London, where she was to spend many years. Stefanie Wanner was born in Thalfingen bei Ulm on 16 January 1914. She joined the Congregation as a Postulant in February 1934 and made her Profession on 28 June 1936. 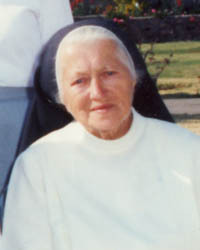 In 1936, at the Motherhouse in South Africa she began her studies in preparation for teaching. In 1949 she began the many years of dedicated service to the Deaf at St Vincent School for the Deaf in Melrose, Johannesburg. Elizabeth Stephan was born in Berlin on 6 November 1905. She joined the Congregation as a Postulant in May 1934 and made her Profession on 28 June 1936. In 1935 she came to South Africa where she began her Teachers’ Training studies while at the Motherhouse in King William’s Town. She remained in South Africa, teaching at a number of the Convent Schools as long as she was able. Hedwig Berta Steiert was born in Wattwil, Kanton St Gallen, Switzerland on 11 January 1912. Sr Agathe entered St Katharina Wil Switzerland as a Postulant, where she made her Professions. She joined the Congregation at St Immaculata in 1968. Gertrude Sildatke was born in Lauenburg Koeslin on 16 November 1913. She joined the Congregation as a Postulant at St Immaculata Convent, Schlehdorf in January 1936 and made her Profession on 5 January 1938. She came to South Africa where she began teaching needlework and dressmaking at Holy Rosary Convent and School in Cradock in 1938. Franziska Heinrich was born in Unterwilflingen Wuerttemberg on 9 March 1915. She entered the Congregation as a Postulant at St Immaculata Convent, Schlehdorf in January 1935 and made her Profession on 28 June 1937, following which she came to South Africa to take up her many years of service in the Congregation. She spent many years at St Vincent Convent and School for the Deaf in Melrose. Philomena Enderle was born in Oberthingau, Germany on 15 April 1911. She entered the Congregation as a Postulant in April 1950 at St Joseph’s Community in Gaildorf and made her Profession on 12 March 1952. Margaretha Thiel was born in Grottau Sudetenland, Germany on 3 January 1915. 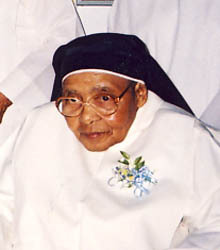 She joined the Congregation as a Candidate in October 1948 and made her Profession on 2 July 1950. She remained in Germany working at the different Convents. Cynthia Makunyane was born in Mamelodi, Pretoria on 23 December 1945. She entered the Congregation as a Postulant in January 1962 and made her Profession on 4 July 1964. Anna Heiss was born in Ottmannshofenuber Leukirch Allgaeu on 26 July 1904. She joined the Congregation as a Candidate at St Immaculata Convent, Schlehdorf in October 1928 and made her Profession on 5 January 1931. In South Africa, from 1933 she worked for many years in the fields and tending the livestock at the Mater Infirmorum Convent Sanatorium, and spending her last years at St Catherine’s Nursing Home in Queenstown. Carolina Winklhofer was born in Passau Bavaria on 7 July 1908. She entered the Congregation as a Postulant in August 1934 and made her Profession on 28 July 1937. After her Noviciate at the Motherhouse she began teaching at Holy Rosary Convent School in Cradock. 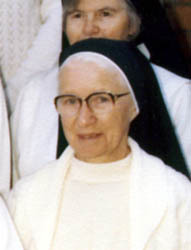 Sr Rina was born in Weiler Feldkirch Vorarlberg Austria on 10 February 1915. She entered the Congregation as a Postulant in July 1933 and made her Profession on 5 January 1936. She came to South Africa and began domestic duties at St Vincent School for the Deaf in Melrose in 1936. Maria Mueller was born in Gottenau Markt Rettenbach Bavaria on 3 August 1905. She joined the Congregation as a Candidate at St Immaculata Convent, Schlehdorf in January 1929 and made her Profession on 5 January 1931. She came to South Africa and began domestic duties at the Motherhouse in the same year, working in various Convents of the Country until her death. Lucia Baehr was born in Dossenheim bei Heidelberg Baden on 23 March 1907. She entered the Congregation as a Postulant in January 1934 and made her Profession on 5 January 1936. In the same year she took up her responsibilities at St Joseph’s Convent and School in Potgietersrus, South Africa. Maria Gfroereis was born in Grossengstingen bei Rentlingen, Wurttemberg on 27 March 1909. She entered the Congregation as a Postulant at St Immaculata Convent, Schlehdorf in November 1927 and made her Profession on 27 June 1929. In the same year she came to the Motherhouse in King William’s Town as a student and began teaching at the Sacred Heart Convent School in East London in 1934. Johanna Dobler was born in Munich on 11 November 1920. She entered the Congregation as a Postulant at St Immaculata Convent in Schlehdorf in November 1951 and made her Profession on 30 July 1953. She taught music in the various Convent Schools in Germany. Paulina Emelie Weber was born in Luzern Switzerland on 27 January 1911. She entered the Congregation as a Postulant in July 1936 and made her Profession on 28 June 1938. She came to South Africa in 1937 and taught for many years at the Convent in Ermelo, as also in Belgravia, Klerksdorp and Potgietersrus. 1980 found her at the Motherhouse where she was Bursar and responsible for sewing. Winifred Hylands was born in New Kleinfontein, Benoni on 17 October 1908. She entered the Congregation as a Postulant at the Motherhouse in King William’s Town in April 1934 and made her Profession on 5 January 1936. She began teaching in the Convent School in Graaff-Reinet and taught subsequently at the Convent Schools Ermelo, Stutterheim, Nigel and Belgravia, retiring finally at St Pius Convent in East London. Martha Dallmayr was born in Utting am Ammersee Oberbayern on 27 June 1922. She entered the Congregation as a Postulant at St Immaculata Convent in Schlehdorf in April 1947 and made her Profession on 31 July 1949. In 1958 she went to St Martin’s Convent in Stoke Golding and remained in England until her death. Maria Magdalena Summer was born in Meringzell Mering on 22 October 1919. She entered the Congregation as a Postulant at St Immaculata Convent in Schlehdorf in March 1946 and made her Profession on 30 July 1948. She remained in Germany throughout her Religious life. Anastasia Dengl was born in Holzhaeuseln Ampfing Oberbayern Bavaria on 26 November 1911. She entered the Congregation as a Postulant at St Immaculata Convent in Schlehdorf in November 1931 and made her Profession on 5 January 1934. In that same year she came to South Africa where she began teaching at the Convent School in Belgravia, Johannesburg. She taught at the Convent Schools in Ermelo, Welkom, East London, Potchefstroom and Nigel. She also taught sports and was Principal at some of the Schools. Anna Weber was born in Willerozhofen bei Leutkirch Wurttemberg on 28 October 1907. She entered the Congregation as a Postulant at St Immaculata Convent in Schlehdorf in August 1930 and made her Profession on 28 June 1933. In 1934 she began teaching at St Louis Bertrand Mission School in Potchefstroom, In the 1950s she moved to Cradock where she taught at Holy Rosary Convent School. In 1991 she retired from teaching at St Pius Convent in East London. Maria Theodora Hamakers was born in Tegelen Holland on 11 April 1923. 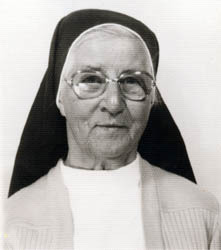 She joined the Congregation at Albertushof Convent in Venlo in 1949 and made her Profession on 6 July 1953 at the Motherhouse in King William’s Town. She taught and was Mother to the Boarders at the Convents in Ermelo, Nigel, Melrose and Springs until, in 1964 she began teaching the first Grade classes at the Convent School in Belgravia, Johannesburg and subsequently taught also in Springs and Ermelo. Therese Renn was born in Lindenberg, Allgau, Bavaria on 21 September 1928. She entered the Congregation as a Postulant at St Immaculata Convent in Schlehdorf in October 1946 and made her Profession on 1 February 1949. In 1950 she came to South Africa and began teaching at St Thomas Aquinas Convent School in Witbank. She also taught in the Convent Schools in Potchefstroom and Belgravia until, in 1958 she went to Berejena Mission in Rhodesia. On her return to South Africa in 1976 she taught at St Scholastica’s Mission in the Transvaal and then at the Convent School in Belgravia and Bl Imelda in Brakpan. Evelyn Emily Ellen Rogers was born in Portsmouth England on 7 April 1909. She entered the Congregation as a Postulant at the Motherhouse in King William’s Town in December 1939 and made her Profession on 1 July 1941. For many years she taught the little ones at the Convent Schools in Fort Beaufort in the Eastern Cape, Potgietersrus in the Northern Transvaal, Sacred Heart and St Pius in East London. Theresia Gamringer was born in Munich on 19 July 1916. She entered the Congregation as a Postulant in July 1933 and made her Profession on 11 January 1942. In 1948 she began nursing at St Catherine’s Nursing Home in Queenstown after which she began her nursing training at the East Rand Hospital. She nursed at the various Dominican hospitals in South Africa, including the Mater Dei Nursing Home in East London, Umlamli Mission Hospital, Sterkspruit in the Diocese of Aliwal North and St Catherine’s Nursing Home as Theatre Sister where she finally retired. Cecilia Mueller was born in Kellmunz Schwaben Bavaria on 29 August 1908. She entered the Congregation as a Postulant at St Immaculata Convent in Schlehdorf in February 1931 and made her Profession on 5 January 1934. In the same year Sr Bellarmine came to South Africa where she began teaching at the Convent School in Potchefstroom, then Klerksdorp, St Dominic’s in Stutterheim, Our Lady of the Rosary in Izeli, In 1955 she returned to Klerksdorp and in 1962 she was moved to Bl Imelda’s Convent in Brakpan. 1976 found her at St Pius Convent in East London, where she finally retired in 1989. Agnes Gertrud Tweissel was born in Kemphausen near Damme Oldenburg on 15 September 1933. She entered the Congregation as a Postulant at St Immaculata Convent in Schlehdorf in January 1959 and made her Profession on 31 July 1960. In 1966 she began teaching at Bl Imelda’s Convent School in Brakpan, then in East London, Welkom and Belgravia. Franziska Faas was born in Dirgenheim on 14 February 1915. She entered the Congregation as a Postulant at St Immaculata Convent in Schlehdorf in February 1933 and made her Profession on 5 January 1935. 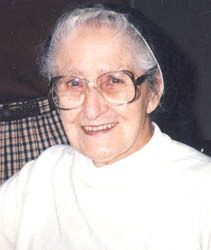 She came to Maris Stella in East London in the same year and remained in South Africa for the rest of her life working at the various Convents, among them in Cradock, Motherhouse, St Dominic’s, Stutterheim, San Salvador, Johannesburg, St Margaret’s, Rustenburg, Potchefstroom, Mater Dei Nursing Home, East London, St Thomas Aquinas, Witbank and Lourdes Convent, Johannesburg. She finally retired in Bethany Convent.